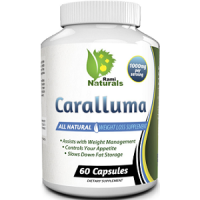 Today we review the product Caralluma manufactured by Rami Naturals. This product aims to assist with weight management and helps you to eat less by curbing your appetite. It also claims to slow down fat storage meaning you can actually lose weight faster. If you couple this product with a healthy diet and an exercise routine then you may see results even faster. If you are struggling to lose weight and to stay on a healthy track when it comes to taking care of yourself, then read the rest of this product below for more information. 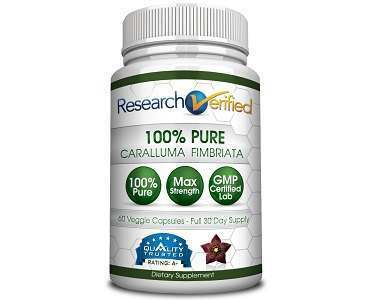 What’s in Rami Naturals Caralluma? This product contains 1000 mg of Caralluma Fimbriata, which is extracted from a very well know plant in India and Sri Lanka. This ingredient helps to block the enzyme citrate lyase which is responsible for producing fat in our bodies. It also will minimize your cravings for food or fluids and increase your endurance. Caralluma also has other benefits since it is high in antioxidants and actively fights free radicals that cause cancer. 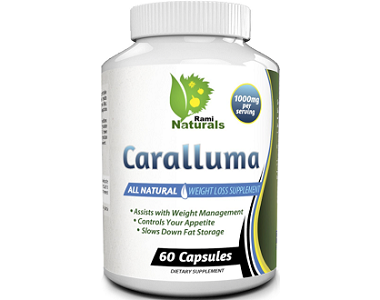 How Do You Use Rami Naturals Caralluma? It is recommended that you take 2 tablets in the morning with your breakfast. You can also take 2 tablets with your last meal of the day if your body is adjusting well to the supplement. It is important to not take this product for more than 15 days continually. If you are feeling unwell after taking these tablets, discontinue use immediately. Do not use this product if you are pregnant or nursing and please consult your doctor before taking these supplements if you are suffering from a serious medical condition. Unfortunately, you cannot buy this product directly from the manufacturer’s website as they refer you to Amazon. This product is out of stock at the moment on Amazon so currently we do not know the asking price for this product. The lack of information provided by the manufacturer’s company regarding the price of this product will cause any customer to be unable to determine whether this product is affordable and competitive price wise. This product does come with a 30-day guarantee policy that states you will be reimbursed if you are unhappy with your results. However, there are no further stipulations or eligibility requirements given regarding this guarantee policy. We do not know whether you can return opened products and if you will be charged a restocking fee if you do. A lot of the customer reviews regarding this product were negative, with some of the reviewers stating that the product simply did not work for them and that they will not be reordering. We like that this product aims to provide a natural solution to weight loss by only incorporating natural ingredients into their product. We also like that this product comes with a 30-day money back guarantee. However, we are concerned with the lack of stipulations provided when it comes to the guarantee policy. Without a price given regarding this product we also can’t determine if this product is competitive price wise.